After people scratching their heads for the jailbreak after they had upgraded to the latest iPhone 3.1 firmware lately, finally the iPhone dev team has launched the jailbreak option for the firmware but not for all the devices. Pwnagetool 3.1 for Mac OS X is released. 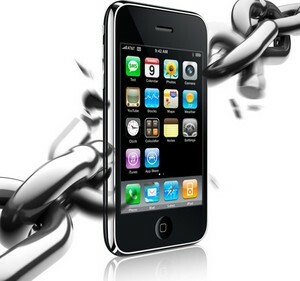 Only if you could successfully jailbreak the iPhone 2G and 3G with this Pwnagetool 3.1, then you can add Icy/Cydia app and continue with the iPhone unlock process. If you are using an unlocked iPhone 3GS, you still need to wait until the Dev team does something for the baseband in it. As, there are reports that the upgrade to latest firmware in them locks the phone and there is no option to unlock the phone right away. iPhone 2G (1st Generation) – Use PwnageTool to do the magic and then restore with iTunes using your newly created .ipsw ‘nuff said, you don’t need to worry about anything, the baseband will be unlocked, the phone jailbroken. iPod touch 1G (Original iPod Touch) – Use PwnageTool to create a firmware image and restore with that .ipsw using iTunes. iPod touch 2G – Sorry, no support at this time within PwnageTool, use Redsn0w for an earlier (pre 3.1) firmware release instead.